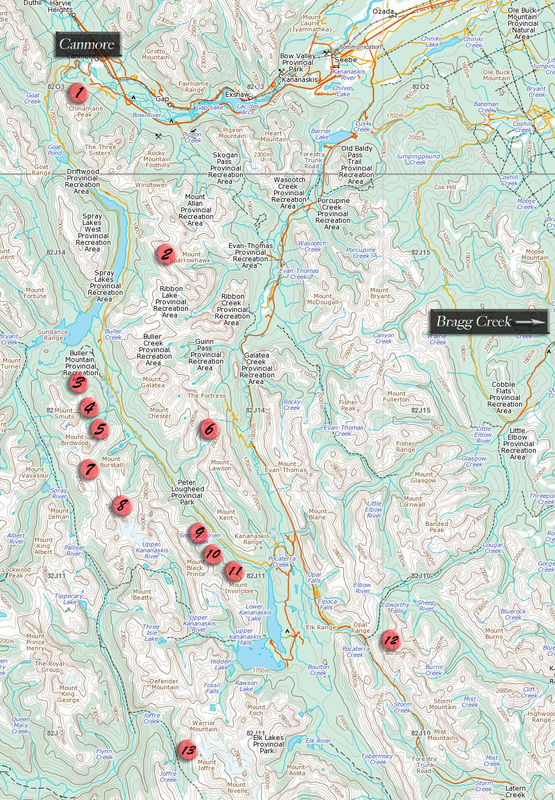 All routes involve significant avalanche hazard and are located in a remote wilderness area. Users must have advanced avalanche training, be familiar with map and compass navigation and be able to provide self rescue in the event of an incident. 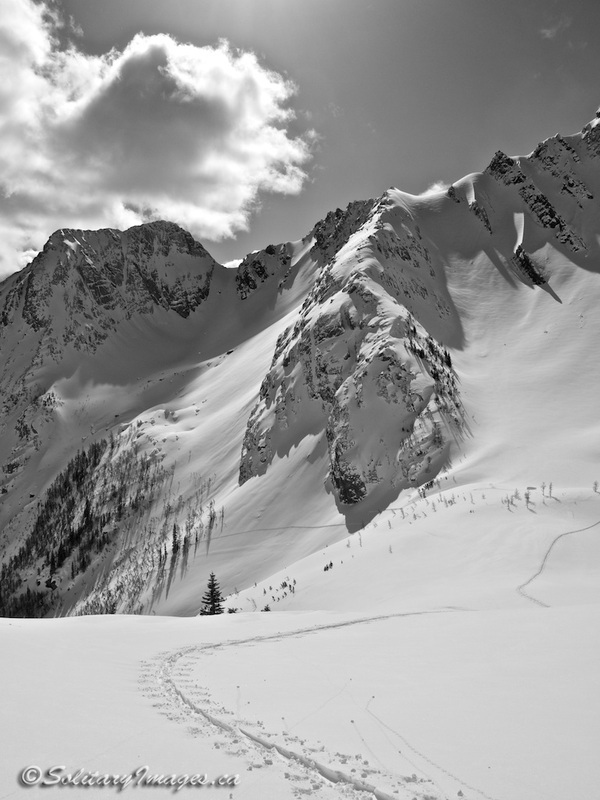 Kananaskis has a shallow snowpack, high winds and extreme temperature changes. As a result the snowpack is weak and often poses a very high avalanche risk. If in doubt, always hire a guide (click to open). Distance - based on car to car distance with the traverses ending in a different location.